Those who create and repair watches and clocks have very specialized needs. They often require super levels of accuracy that can be either very hard to find in small machines...or very expensive. Because of this, we have introduced special options specifically for super precision needs. What can you now get from us? You can now get our Heavy Duty Commercial Headstocks with ABEC-9 angular contact bearings. 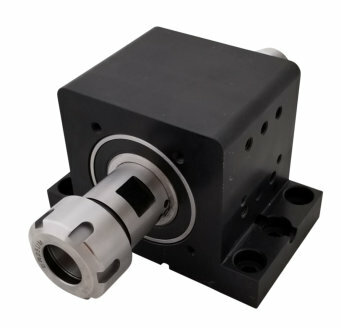 With ABEC-9, can now count on the high end accuracy mainly found in Swiss machines. You can also have the headstock made with using a secondary grinding operation* for a 50 millionth runout. Our most popular model combination for this is the ER25 using the Absolute-Zero adjustable ER nut and our Ultra Precision Techniks collets. The Absolute-Zero ER nut will allow you to dial out any final runout from your collet and/or cutter. With this combination, you can now avoid having to pay $10,000++ for a precision mill or lathe. We recommend the Taig mill and the Taig lathe as your base machine (we are dealer for Taig and can help you with that, we order the machines without the headstock and motor). You can then use your GlockCNC headstock with Taig adapter for the ultimate machine for watch and clock makers. We also recommend using our motors over the OEM Taig motors. While their motors are good, they really aren't design to run our larger headstock with much more robust bearings. 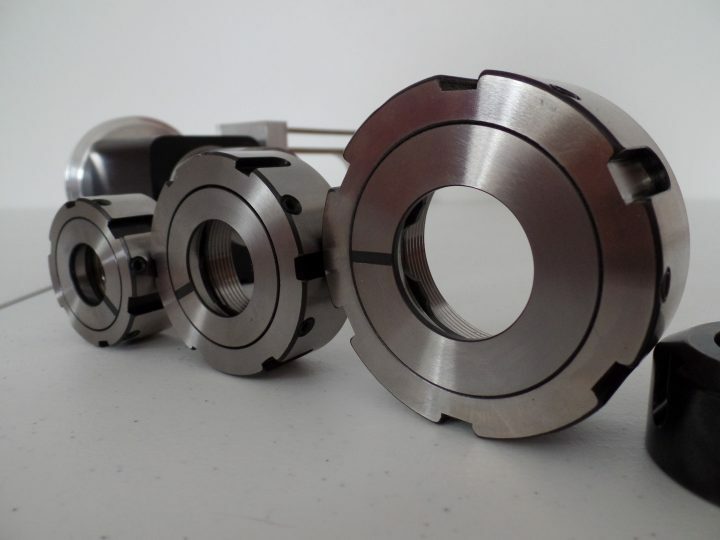 *The secondary grind operation is this; we shrink fit the bearings to the spindle and mount them in the headstock, the next operation is to grind the collet mating surface of the spindle now that it's mounted in the bearings. This means you'll be getting the exact same precision of the bearings themselves. This is key creating the best possible level of precision. ** Our most popular combinations for watch makers and repair experts are; ER25, R8 and MT3 with chuck plate, ABEC-7 or ABEC-9 bearings with optional secondary grind operation.